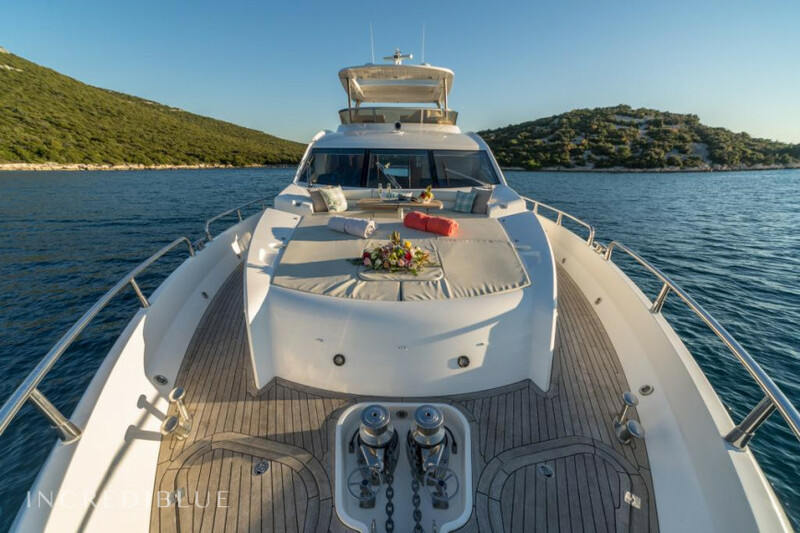 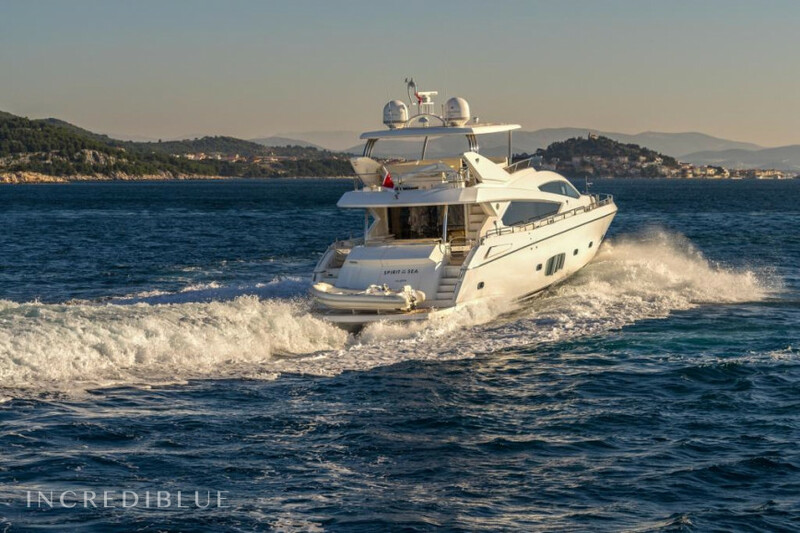 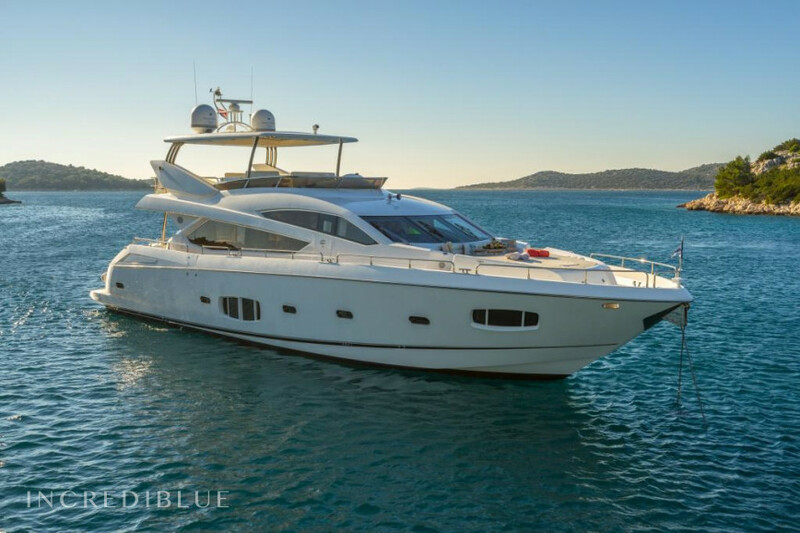 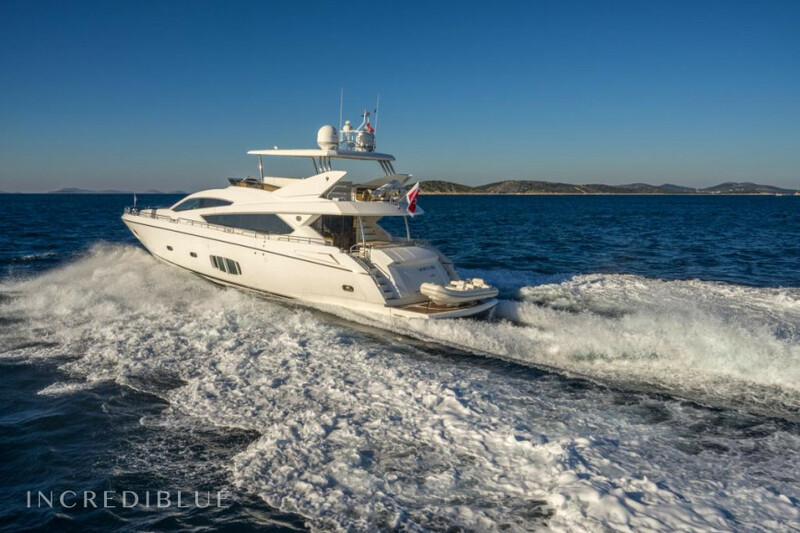 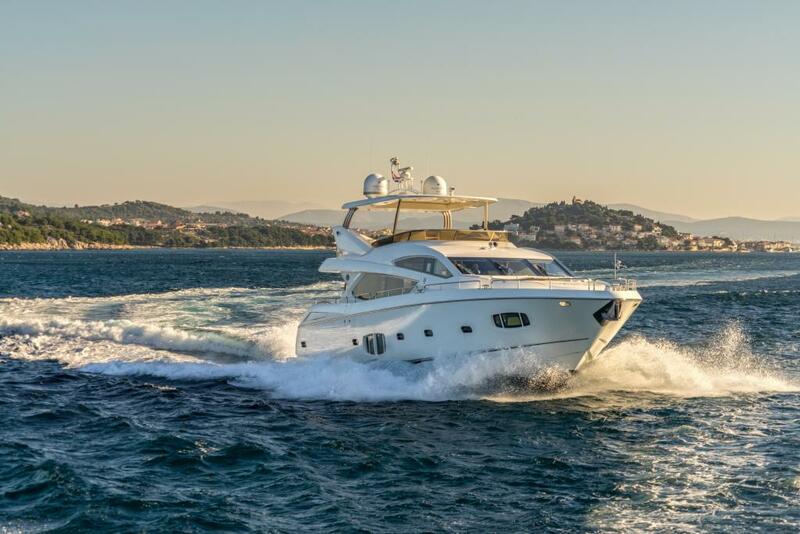 Experience a luxury yacht charter on board the supreme Sunseeker 80 yacht and cruise the Dalmatian Islands after departing her base port: ACI Marina Split. 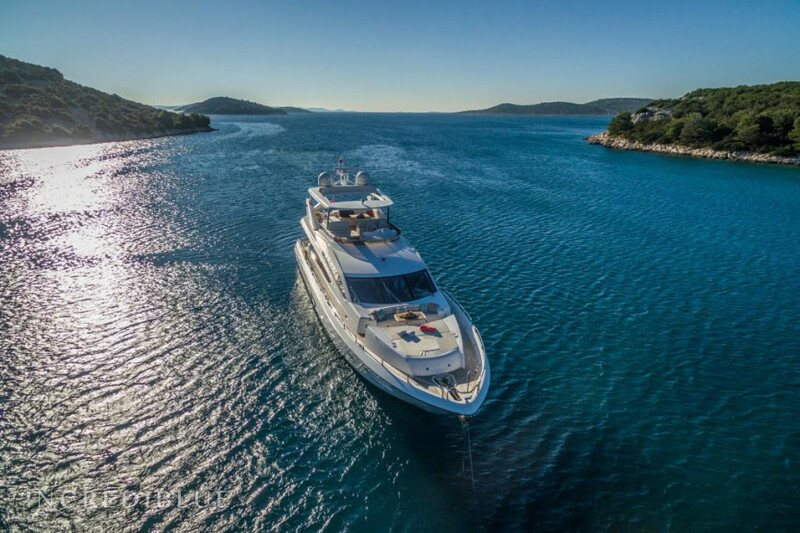 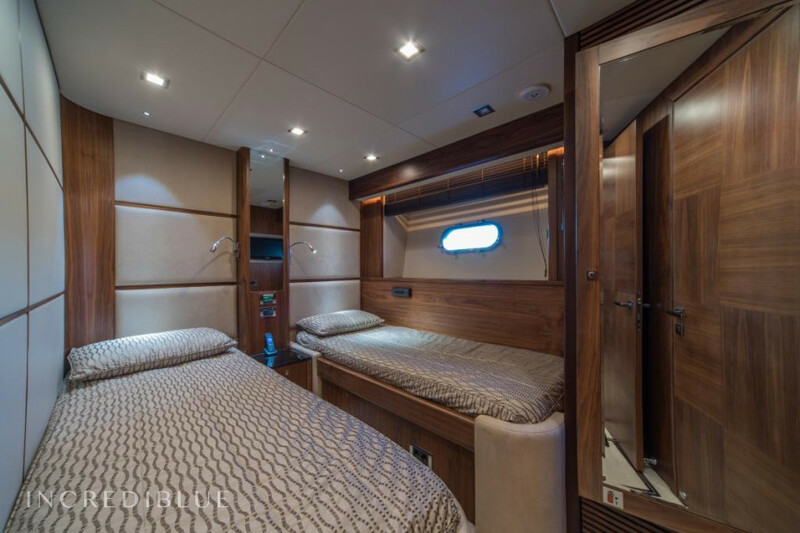 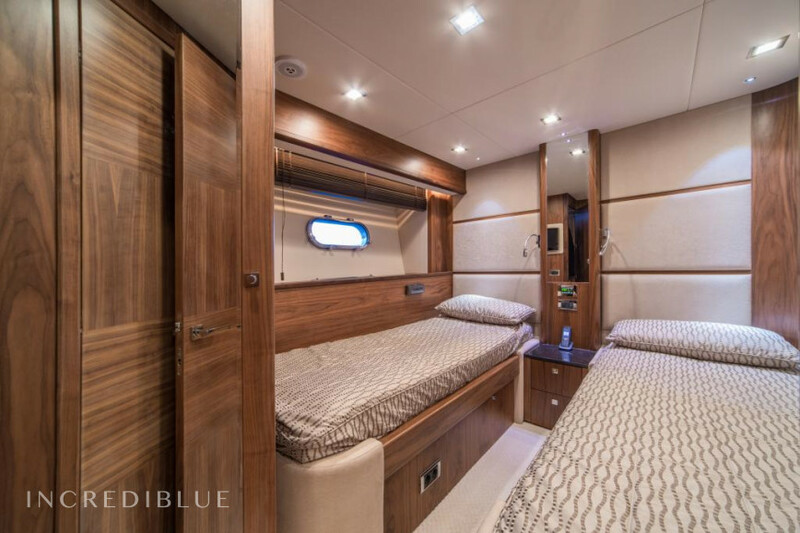 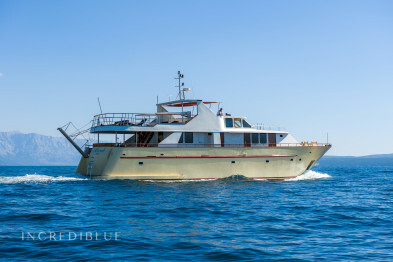 She accommodates up to 8 people on board her 80 ft superstructure of luxury and was built in 2010, with a refit in 2013. 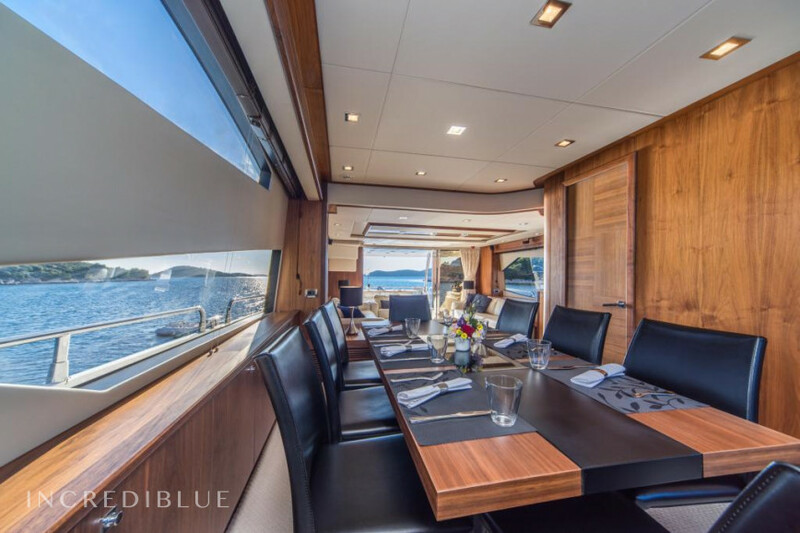 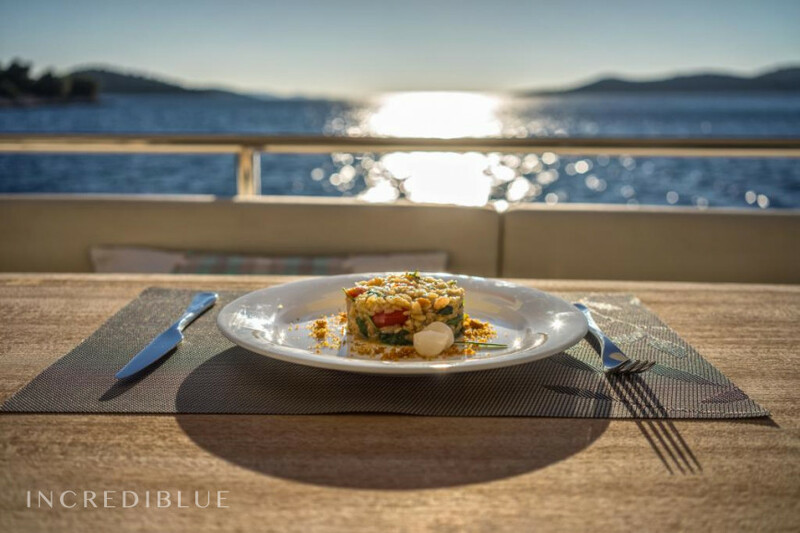 Guests can choose between dining indoors at the tasteful wooden table and formal dining area or the beautiful aft deck dining area with spectacular sea views. 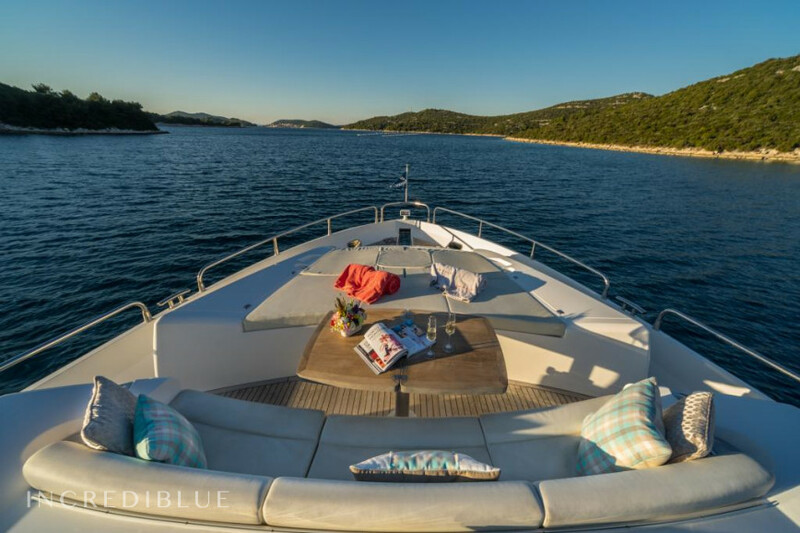 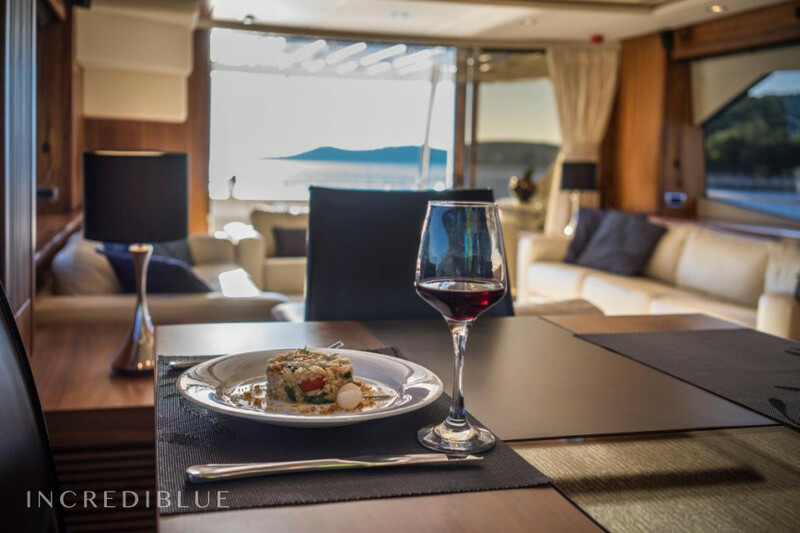 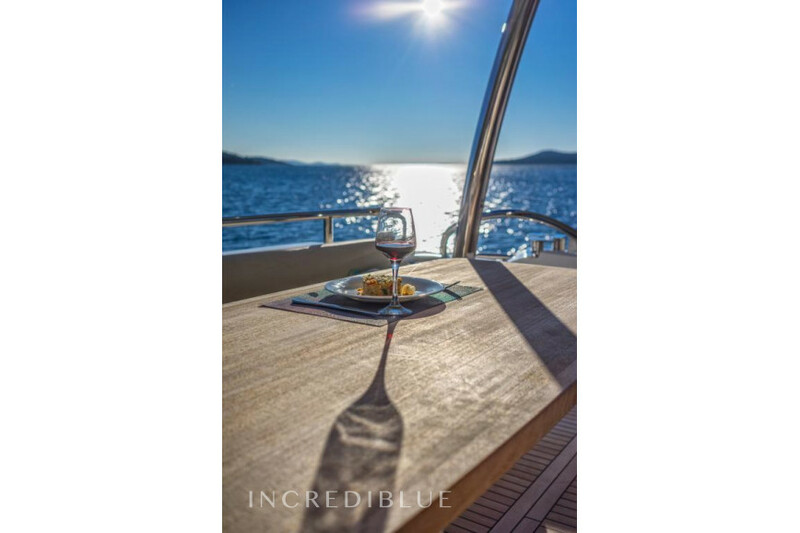 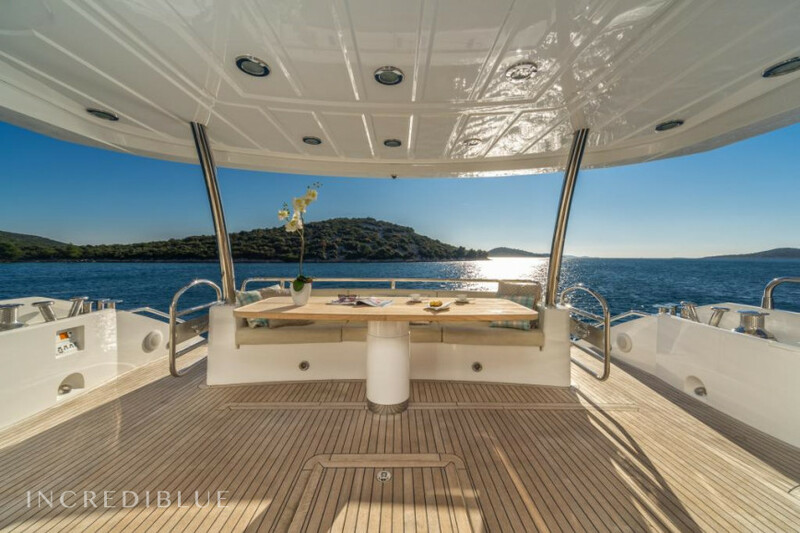 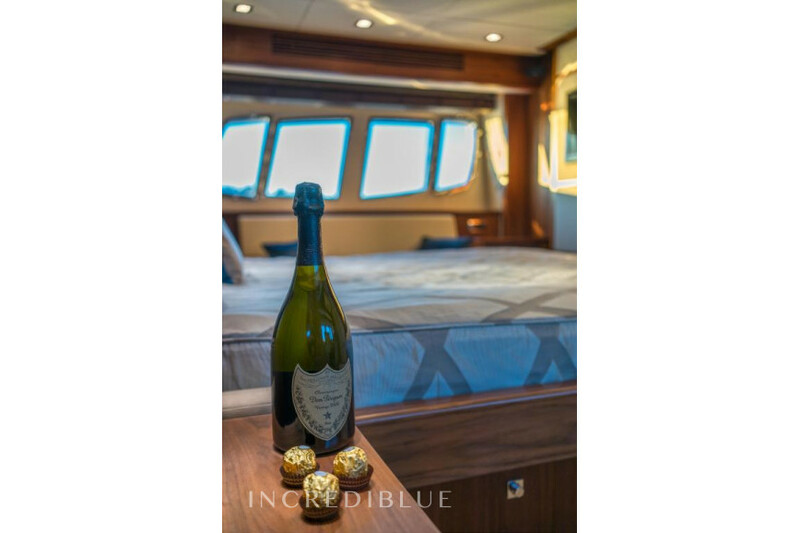 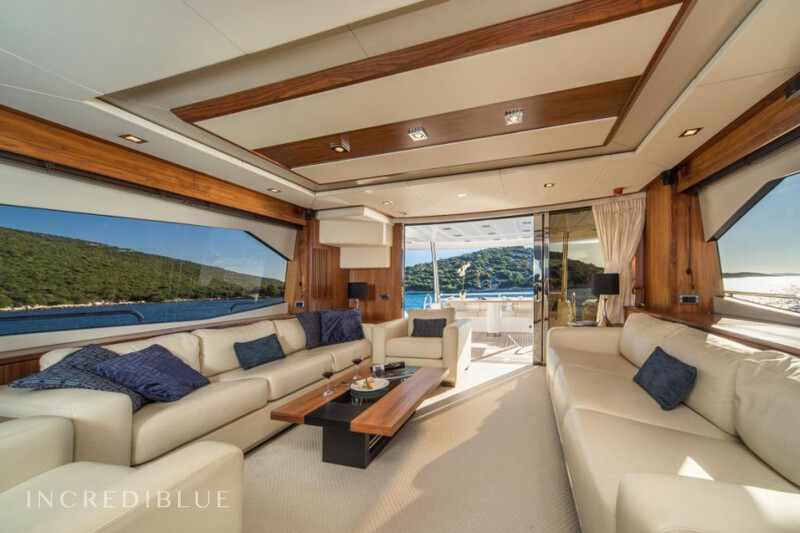 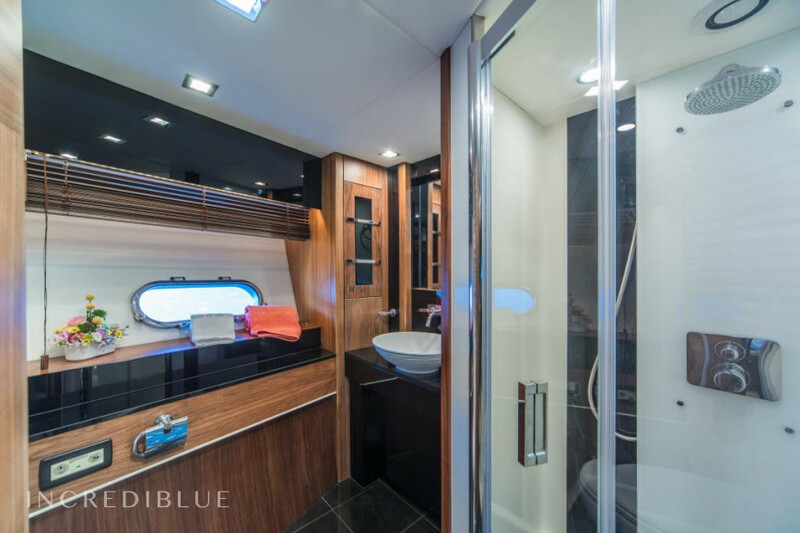 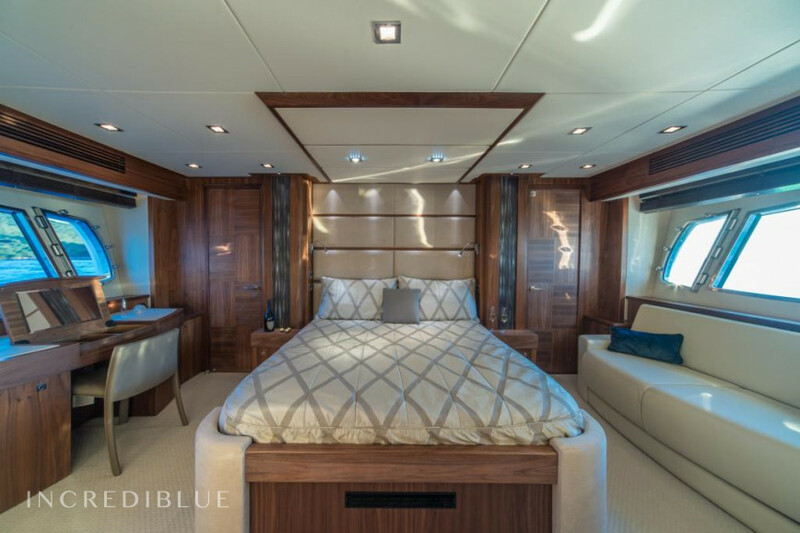 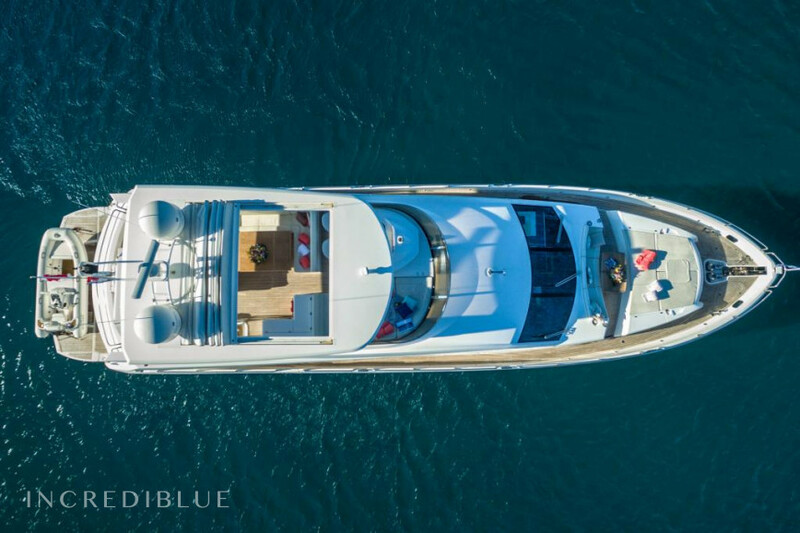 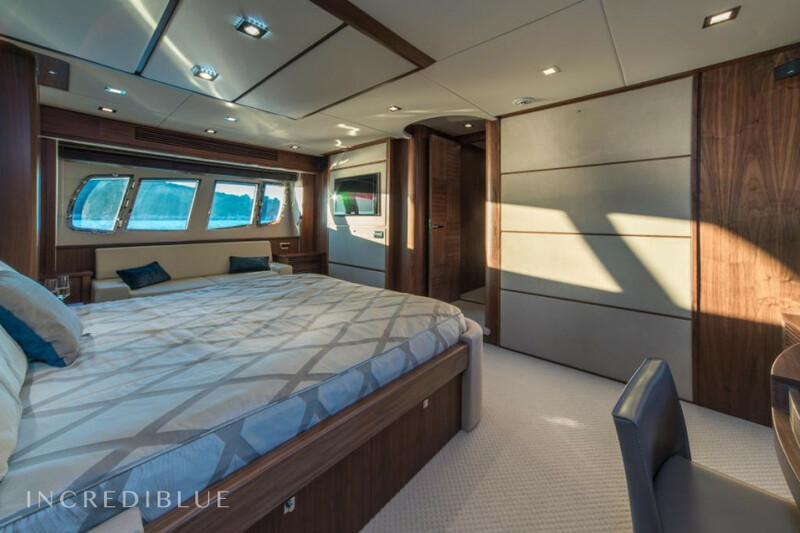 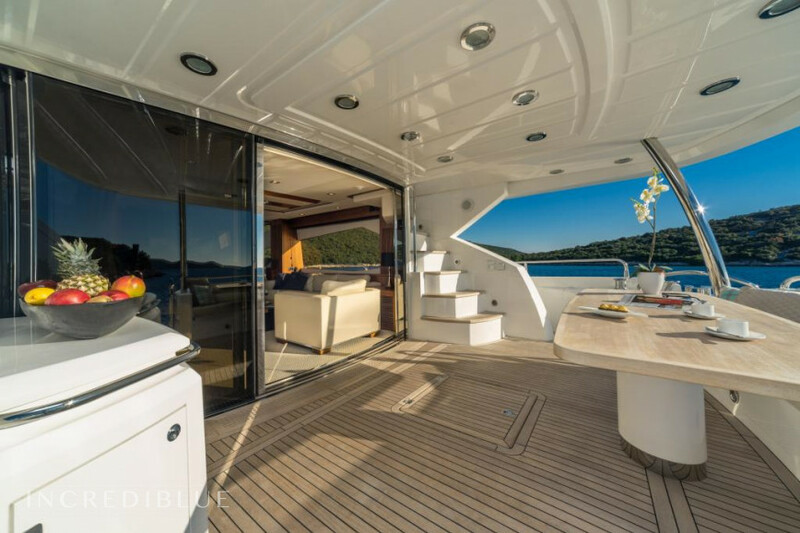 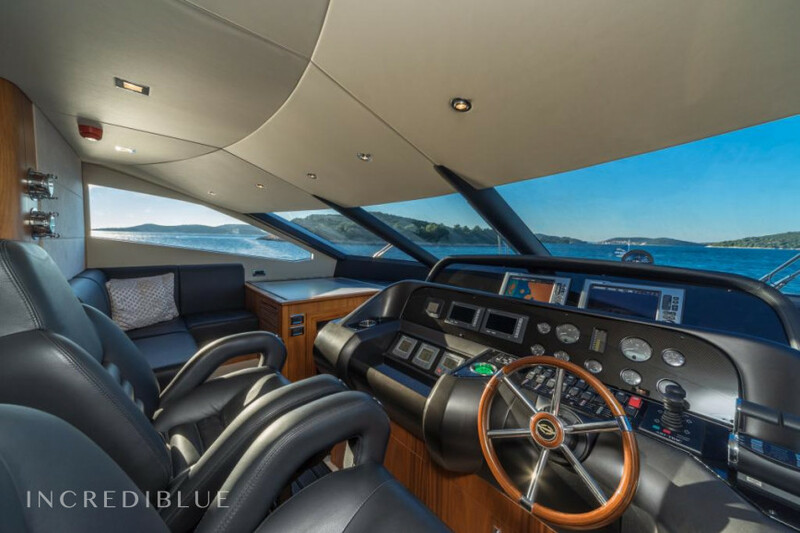 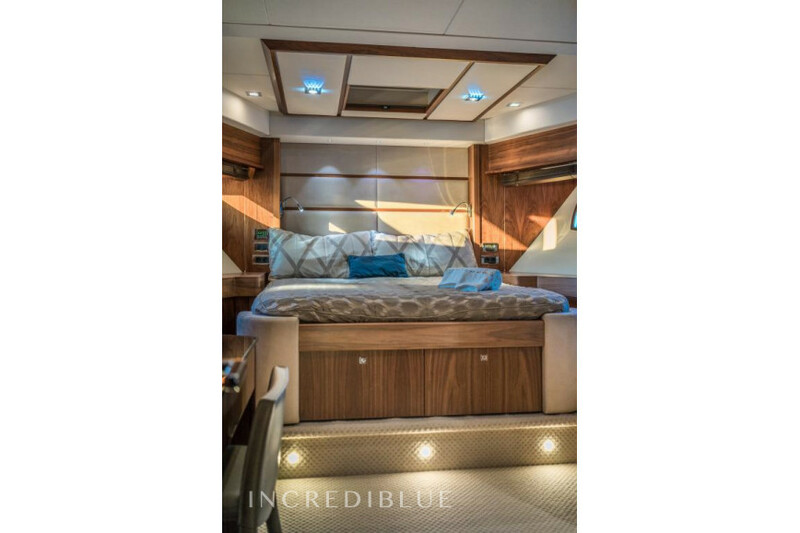 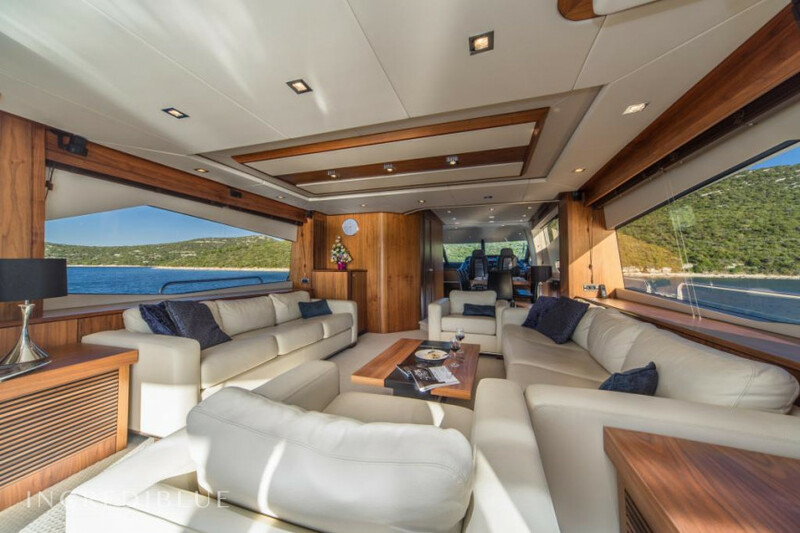 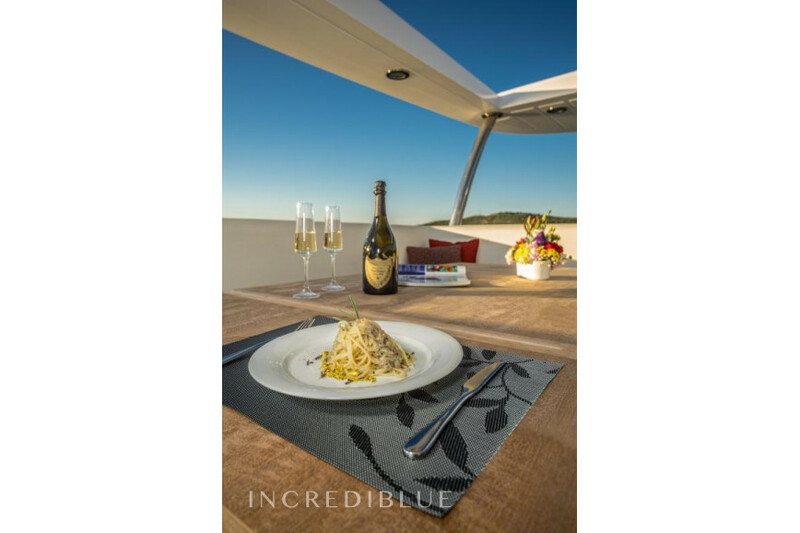 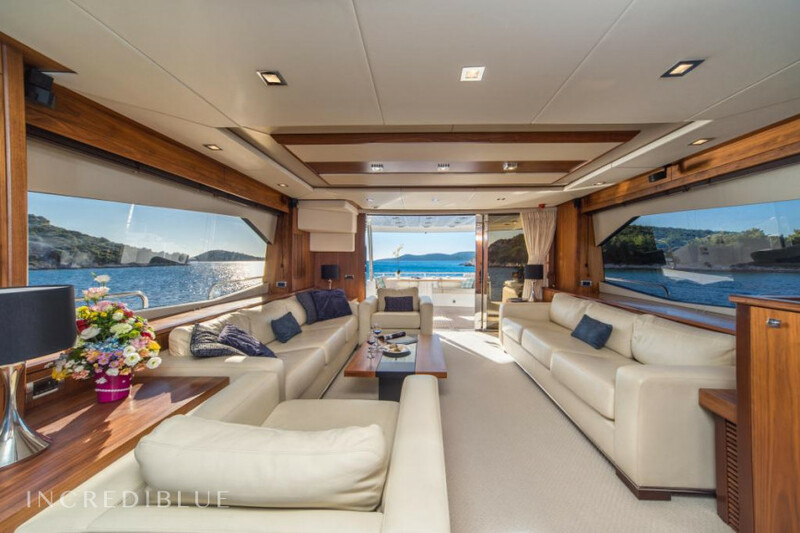 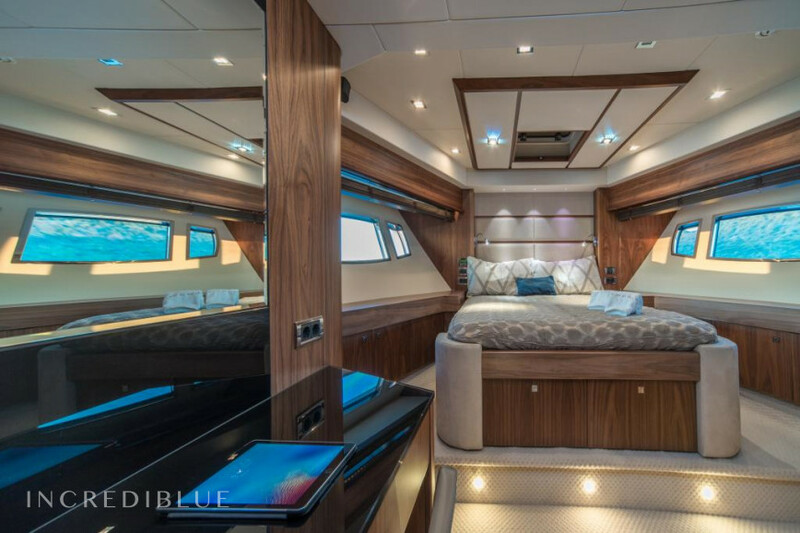 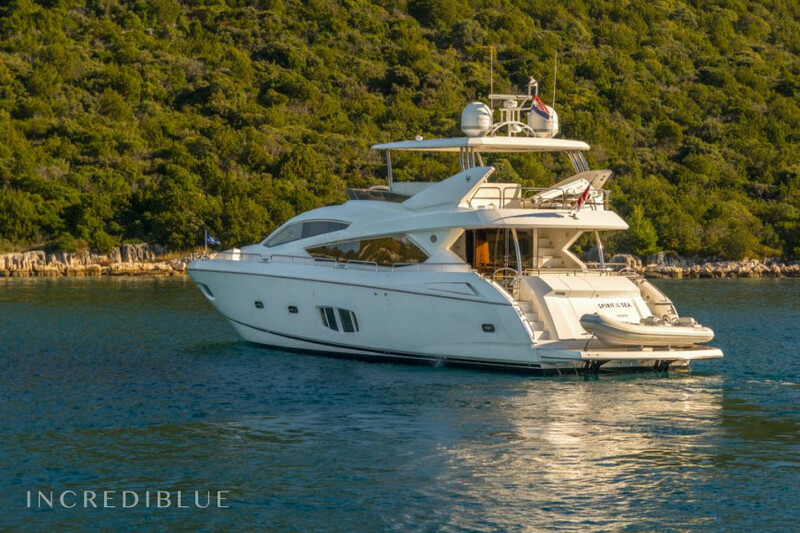 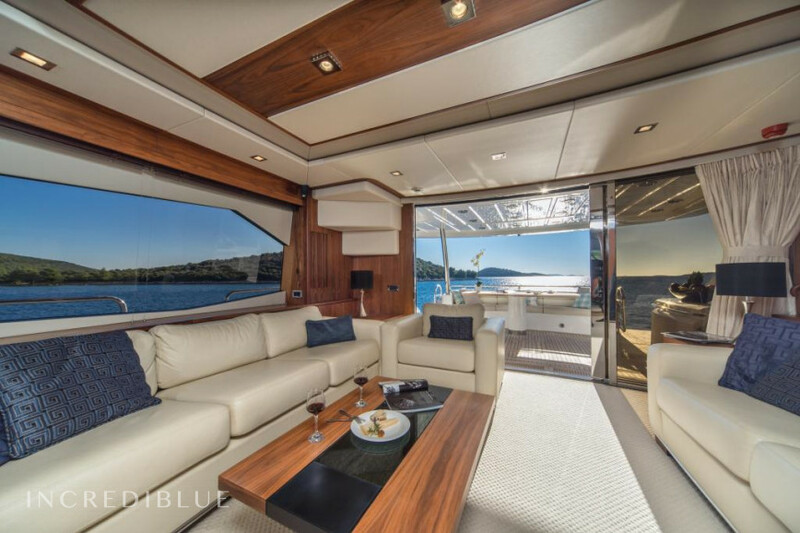 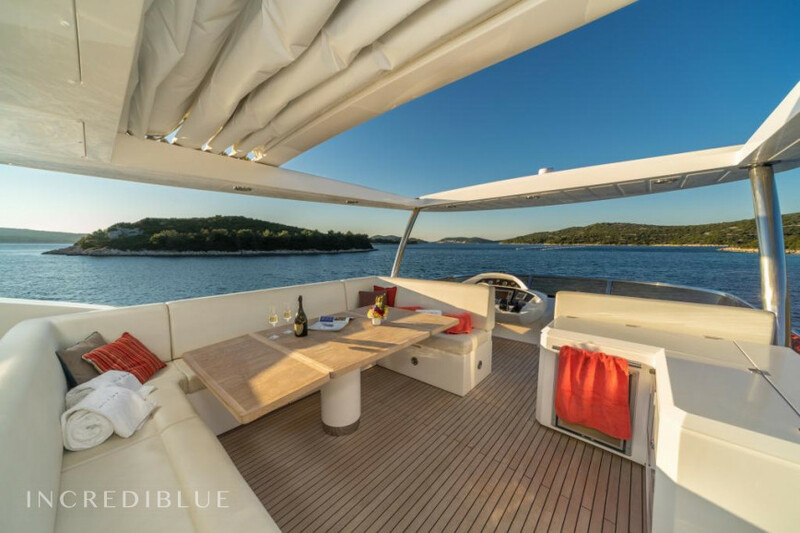 Her flybridge has even more wondrous views and is the perfect area to lounge with a cocktail and unwind in the Mediterranean sunshine. 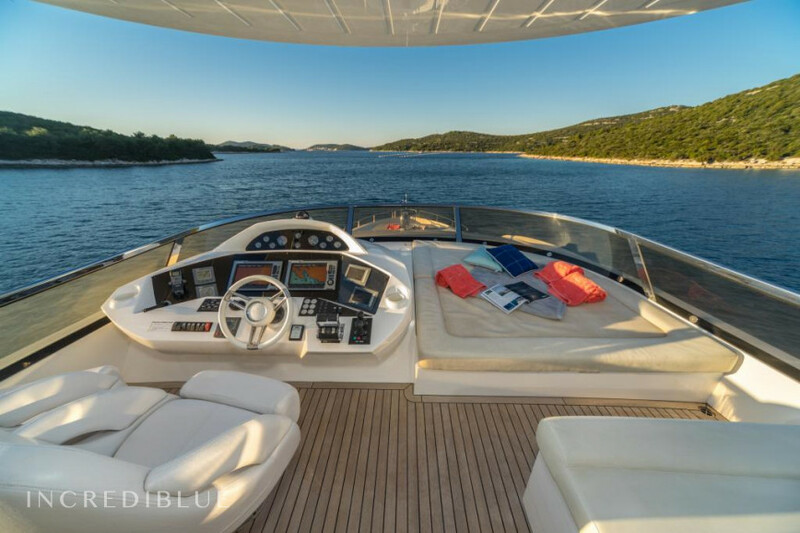 The bow of the Sunseeker 80 Yacht is also a fantastic sunbathing spot with its large sunpad with panoramic sea views. 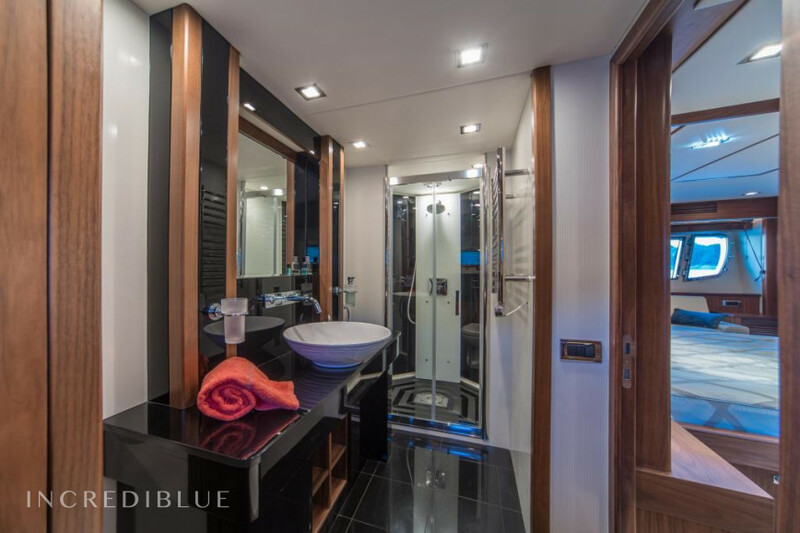 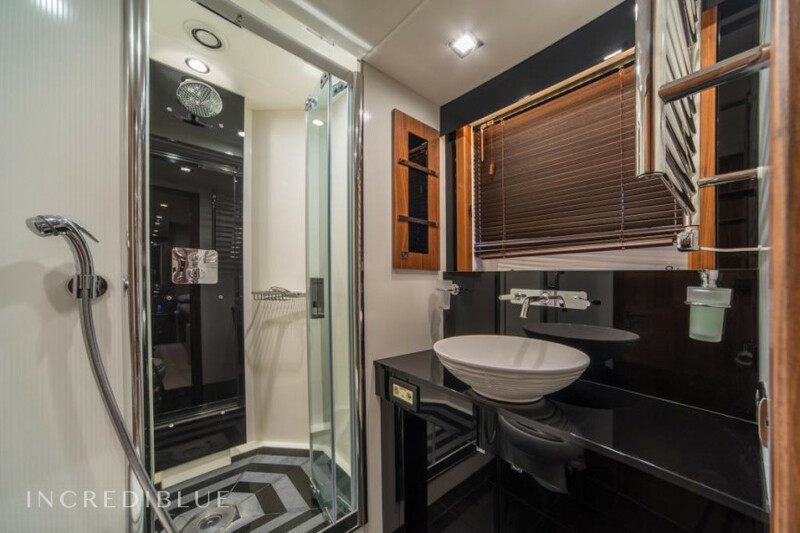 Her four guest bedrooms are divine and all fitted with en suite bathrooms. 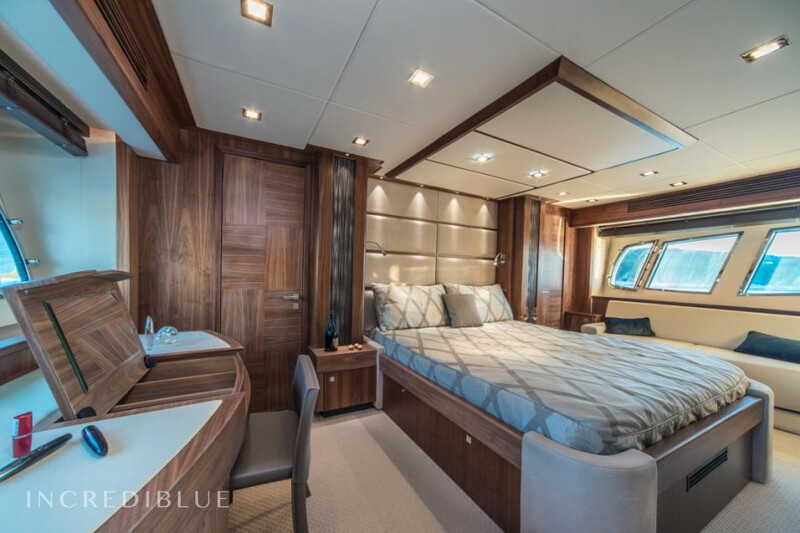 They feature polished wood panelling and have plenty of storage, as well as flat screen TVs. 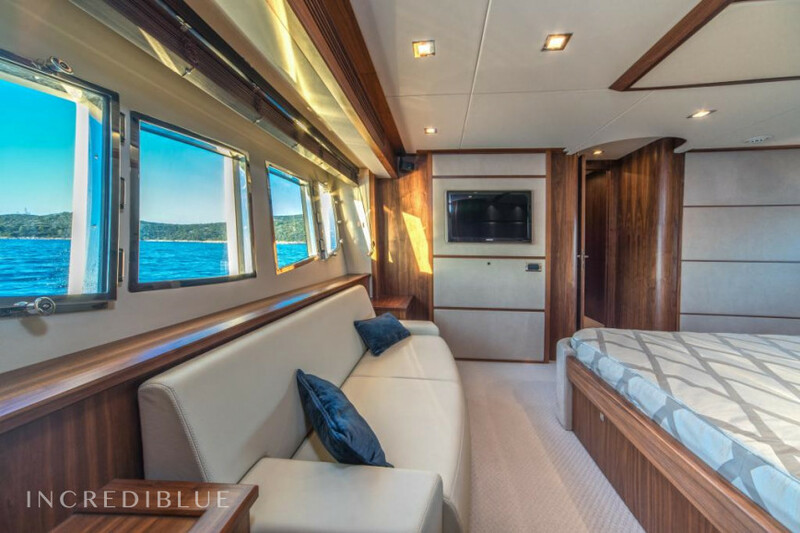 Her main saloon is classy with cream sofas and gorgeous interior complements such as the cosy lamp and coffee table. 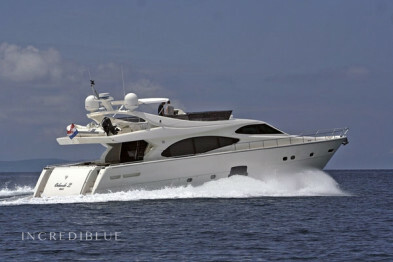 Engine power 2x MAN 1550Hp H.P.